The amount of sleep we need changes as we age. (1) Both sleep duration and quality tend to decline as we grow older, leveling off in the ninth decade. While infants typically need the most rest, older adults need the least, and sleep may be fragmented in later life, as well. Getting a good night’s sleep becomes more difficult beginning in adulthood. Why do sleep needs shift from seventeen hours each night in infancy to seven or less in old age? Physical and mental developments and fluctuations in the body’s natural rhythm cause the architecture of sleep to change over time. Note: The content on Sleepopolis is meant to be informative in nature, but it shouldn’t take the place of medical advice and supervision from a trained professional. If you feel you may be suffering from any sleep disorder or medical condition, please see your healthcare provider immediately. The sleep-wake cycle may change with age as the body produces less of the sleep-promoting hormone melatonin. (3) Decreasing levels of growth hormone can lead to a decline in deeper sleep. (4) Lifestyle habits more common in adults like drinking alcohol or caffeine can also affect sleep quantity. Typical sleep consists of four stages: N1, N2, N3, and REM sleep. (6) During N1, N2, and N3, breathing and heart rate slow, blood pressure declines, and the sleeper is relatively still. By contrast, REM sleep closely resembles being awake. The eyes move rapidly and brain waves are similar to those that occur in the waking brain. 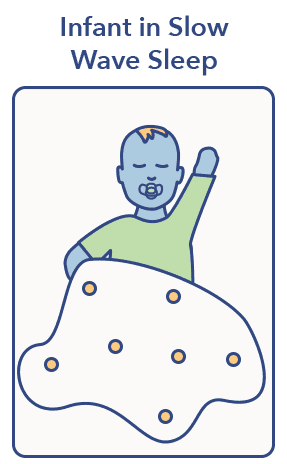 Babies spend the majority of sleep time in the deep, slow-wave sleep of N3. Slow-wave sleep gradually decreases throughout childhood, while REM sleep increases. Further declines in slow-wave sleep in adulthood and old age may result in lighter, more fragmented rest with frequent awakenings. Sleep debt is the accumulated amount of sleep loss from insufficient sleep. Healthy newborns typically spend most of the 24-hour day asleep. Rest is usually sporadic until they establish a regular circadian rhythm that produces melatonin at the same time each night. A newborn baby may sleep eight to 12 hours at night and accumulate the additional hours through naps. After three to four months, infants begin to develop a sleep pattern that becomes consolidated into longer periods. As infants reach their first birthday, they typically sleep through the night and take multiple daytime naps. Toddlers nap less often and their sleep becomes more consolidated at night. The toddler stage may be a time of temporary or persistent sleep difficulties, including bedtime resistance, nighttime awakenings, difficulty falling back to sleep, and nightmares. 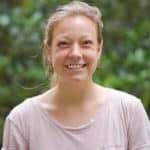 (8) Many experts advise a consistent bedtime routine to help prevent sleep problems, and early intervention with a child sleep specialist should they develop. When kids reach pre-school age, napping continues to decline. The risk of sleep problems may increase. These issues often include resisting bedtime, asking to sleep with parents, wanting to continue a fun activity, and waking up frequently at night. Nighttime fears, sleepwalking, and sleep terrors can also occur. By the age of six or seven, many children stop taking naps. Sleep typically happens in a single consolidated block at night. 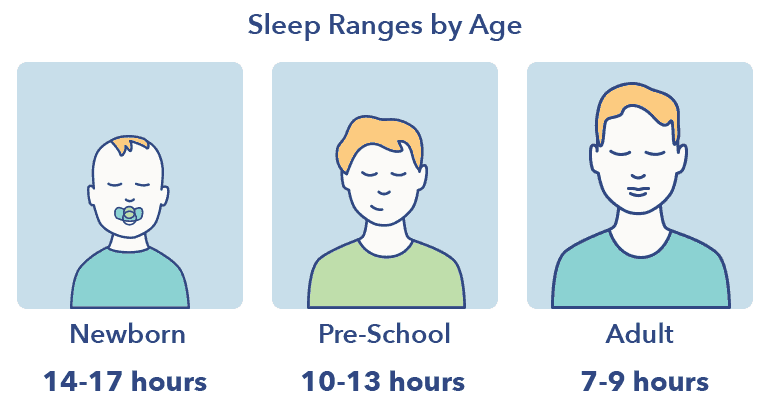 Kids in this age group spend a lot of their sleep in slow-wave sleep, or deep and restorative rest, meaning they are usually very alert and energetic during the day. Adolescents may experience a sleep phase delay due to natural circadian rhythm changes. (9) This shift causes teens to feel alert later at night and makes it difficult to fall asleep. 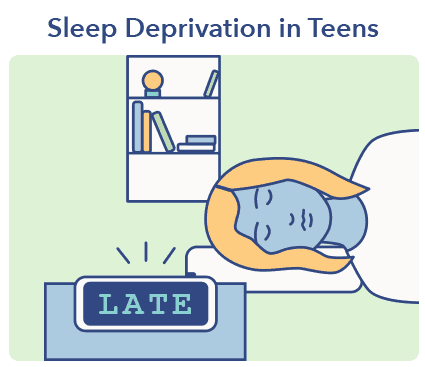 Because most school start times are much earlier than a teenager’s preferred wake time, many students do not get enough rest. Some might develop a circadian rhythm disorder called delayed sleep phase syndrome (DSPS). As people enter their early twenties, they spend more of their time in lighter sleep stages and less time in deep, refreshing sleep. (10) As a result, young adults often feel less rested after waking up and may experience daylight sleepiness. Adults need 7-9 hours of sleep per night. Genetic factors and individual chronotype help determine how much rest is needed within this range. However, 1 in 3 American adults doesn’t get enough sleep. Lifestyle factors such as alcohol and caffeine consumption, work and school demands, parenting, stress, and jet lag may contribute to this sleep deficit. As we age, the body goes through physiological changes that are closely tied to quantity and quality of sleep. Infants and young children need greater amounts of deep and restorative sleep due to rapid physical, cognitive, and emotional growth. Major growth developments decline as people grow older, leading to lighter sleep of shorter duration. Lifestyle choices such as work schedules, parenting, and alcohol consumption may also contribute to changes in sleep patterns. 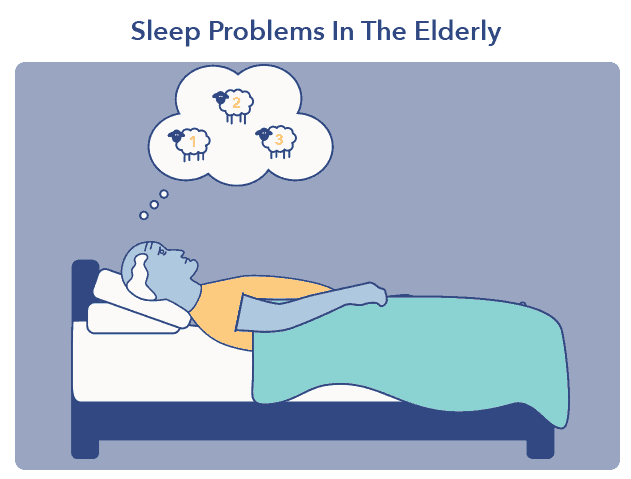 The prevalence of sleep disorders and chronic illness also increases with age. Understanding these changes in sleep duration can lead to less anxious and more restful sleep—and better health and well-being.